The beautiful horses we love so much have definitely helped us out this year. With a deep void in our pockets due to the economy, these athletes have lifted our spirits. As horse racing did back in the early twentieth century, and other historically tough times in the United States, people have found The Sport of Kings to be an uplifting escape once again. The Kentucky Oaks, Kentucky Derby, and Preakness have been wonderful. 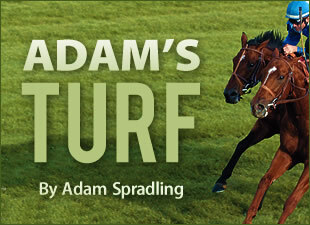 The equine superstars and variety of human-interest stories are truly inspiring. Check out the TV ratings for the Preakness Stakes. Ratings are up and thank goodness they are. A few months ago I wrote a blog on the situation of the Thoroughbred industry hurting. I am now writing to say that the wound is gaping, and we need it stitched quickly in Kentucky. Quickly does not imply only short term band-aids for a serious wound, but a long-term solution to back up our recovery. Owners in our industry have businesses hurting, and their funds to invest into horse racing are now tight. Farms and industry workers are feeling the trickle-down effect to the bone. Trainers who have called the Kentucky tracks of Ellis park, Turfway Park, Churchill Downs, Kentucky Downs, and Keeneland home are now being lured by the beautiful glow of higher purses in VLTs and gaming-supported racing in other states. 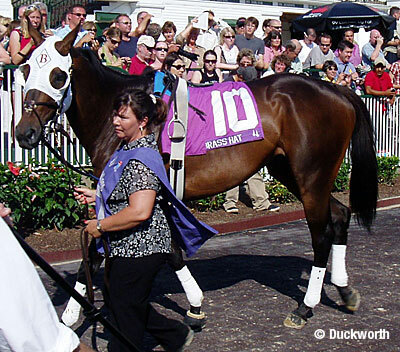 Trainers who use to have no need to leave Kentucky are finding the lure too great. A $50,000 Allowance race versus a $20,000 Allowance race during mid-week for example. Bennie “Chip” Woolley Jr., who won this year’s Kentucky Derby Presented by Yum! Brands (gr. I) with Mine That Bird, has raced in New Mexico for years. He said racetrack slots solidified the racing and breeding industry in the state. “I’m a poster child for gaming, I guess,” Woolley said. “States like Kentucky and Maryland are watching their money go across the river, but it doesn’t come back. It makes no sense. In New Mexico, we thought it would be a five-year fix, but 10 years later, it’s just getting better. Churchill Downs held a recent, seemingly do or die, message to the state government for our industry. Churchill has already cut Wednesdays off its racing card schedule due to shrinking horse entries. The other Kentucky tracks are pretty much echoing the same tune and I was fascinated to read about The Red Mile's struggles with its variety in equine sports hosted there. If you asked me previous to being in the Thoroughbred industry, "Would you vote for video slot machines at race tracks?" I would have said, “No, I would not support it." After being in the industry for two years, my view has changed. I would not want to see the questionable things that tend to come with gambling, but if we limit gambling to race tracks and bring some sense of control, then maybe there is hope. I support gambling not only to help the Thoroughbred industry in Kentucky remain the “Horse Capital of the World,” but to help our government raise additional tax revenue. Beyond the taxes and sport funding, there are hundreds of thousands of people directly and indirectly supported by the horse industry in this state. From the actual farms and farm hands to tracks, and then there are the small businesses next to the tracks that rely on race fans. There are tack shops, supply stores, and small communities based around pockets of farms and equine hubs. Kentucky will be down and out with the loss of this prized sport. Thank goodness for amazing horses to remind the common fan why racing is worth saving. It is tough, as an optimist, to feel...well, not very optimistic. So let’s check our guts and see how we can help ensure a sport that has existed since the days of George Washington. Make an effort to help educate the general public on why VLT’s is important for the state. I have found that many people really don’t understand that the issue is deeper and further reaching than “a few rich horse owners wanting gambling.” Several people seem to view this quote as the reasoning for change, so gently suggest there is more to it and in my experience, people have listened and learned, thus changing and empowering them to make a more educated decision; which has refreshingly been to find ways to help our industry and our state. So in this blog, lets offer up some encouraging comments. What are you grateful for, and what have you enjoyed over the year or so about the sport? If you read my blog regularly, you know how much of a Pyro fan I am. After a year of mystery and Missing in action, I was thrilled to see a certain name pop up in my workout email notifications. Pyro is back. I always wondered what was going to happen with him when the news was released he had been sold to Darley and Sheikh Mo. Then Pyro disappeared without a sound, leaving us fans to wonder what in the world happened. Apparently he was recovering from surgery on his knee. If Pyro is now working, then he is healthy, and he is prepping to storm the track again. Jeff Lowe asked Jimmy Bell about Pyro and Bell said, "The focus was always to freshen him up and point toward a campaign during the second-half of the season with Godolphin." I can't wait to see this guy hit his crazy turn-of-foot in the stretch again. It is also a refreshing feeling to see another horse run longer than three years. Another horse I am fond of is coming back to the track good as new. I love older horses who still love to run. Cosmonaut and the Fort Marcy Stakes (gr. III), he ran like a champ. I remember my first time seeing him run on the turf with other greats, such as Kip Deville and Einstein. Cosmonaut's tongue was chillin' on the side of his mouth while walking around in Keeneland's paddock. It was funny and cute. Is nominated to run in the Belmont Stakes. 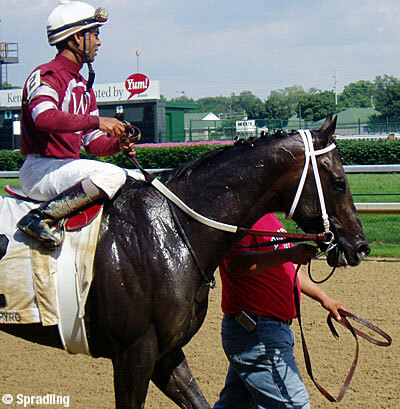 Though he did not make it to the Kentucky Derby, he did make the first place finish in Matt Winn Stakes. Lord Vader finished fourth, hitting the board May 17 in the 10th race at Arlington Park.